Brock appeared to turn purple despite only minor physical exertion. 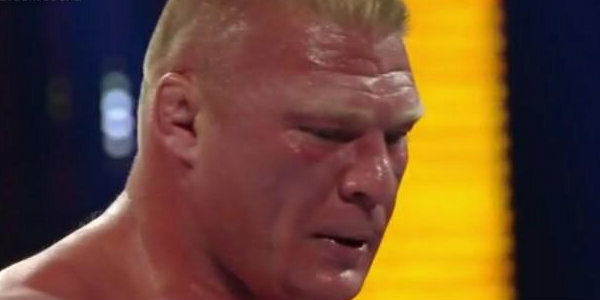 Worried WWE fans have expressed concern at Brock Lesnar's physical appearance during WWE Night Of Champions. 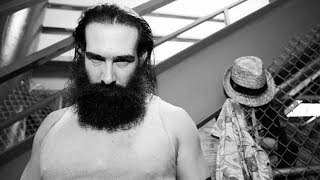 The current WWE Champion started his match against John Cena with a completely normal look. However, after just a couple of minutes, Lesnar was already sweating profusely and had turned both red and purple in his face. This is normal for someone undergoing intense physical exertion, but Lesnar was barely doing anything of note. A rehearsed wrestling match shouldn't be turning a man purple. Indeed, Brock previously used far more athleticism in the UFC a few years ago. On those genuine sporting occasions, Brock never turned this strange colour. Yet in a predetermined wrestling match, Lesnar looked like he'd just done an hour on a gym treadmill at full speed. Fans have noted that in addition to turning red and intensely sweating, Brock also appeared to be struggling for breath. Yes, he's a big guy, but he shouldn't be reacting like this. It's a worrying indicator of health problems such as blood pressure or risk of heart attack. The outpouring of concern on social media and wrestling forums was a big talking point coming out of Night Of Champions. "Brock Lesnar's definitely ill, you shouldn't be that red after a bit of running about even if you are a big lad." @GolazoDan commented on Twitter. "Is anyone else concern about how red Brock Lesnar gets during matches? He should really check his blood pressure. #WWENOC" @keilbasa_al stated. "I get legitimately concerned watching how red and how sweaty Brock gets in these matches. I hope he's getting checked" tweeted @newfoundmass. "Lesnar is turning a very strange color. Not healthy." @Fight_Ghost said. The worry amongst observers is understandable; the last time a wrestler turned red and sweaty like this was Ultimate Warrior. The former WWF Champion looked the same shade during his April 2014 Hall Of Fame speech. Just a few days later and he died of a heart attack. It's unknown if WWE's wellness tests would apply to Brock. The former MMA star negotiated a unique contract and is on somewhat of a hybrid style deal. He's a part time independent contractor for the WWE. Hopefully there's nothing wrong with him, perhaps this is just a superficial reddening of the skin. If the issue is something more physical, a problem with blood pressure for example, WWE should really look to rethink their usage of the 37 year old. Having came close to death with a severe bout of diverticulitis in 2009 and 2011, Lesnar would be well advised to look after himself.